Heart's Delight Cards: Wow, a Blog Award! 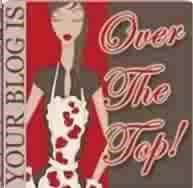 Sweet Sally, from Sally's Creative Corner, just gave me this blog award. Thank you, Sally! I need to pass this award on to five people, post on their blog to let them know I left this award, and then I need to answer a list of questions in ONE word. This was much tougher than I expected. Number 8 was going to be Founder's Circle, or Stampin' Up! Cruise....but too many words, dang it!!! And number 35 - all of my fave restaurants are more than one word, as well. Grrrr. HUGE SALE!!! Stampin' Up! Online Extravaganza! Operation Write Home Blog Hop Has Begun! Almost Forgot to Post Today! Happy, Happy Birthday, My BFF Barb!